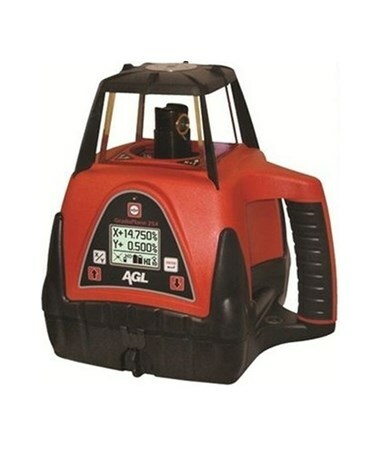 The AGL GradoPlane 25X DG Dual Grade Laser is a fully automatic self-leveling laser with a dual-grade capability and enhanced working range up to 3,600 feet with a laser receiver. 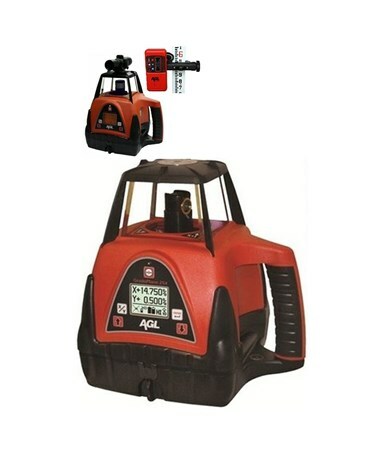 Built for various construction applications, such as land leveling and tiling, this rotary laser is accurate up to ±1/16-inch at 100 feet. Also, it features an auto-axis alignment, which significantly aligns the axis for critical grade operation. 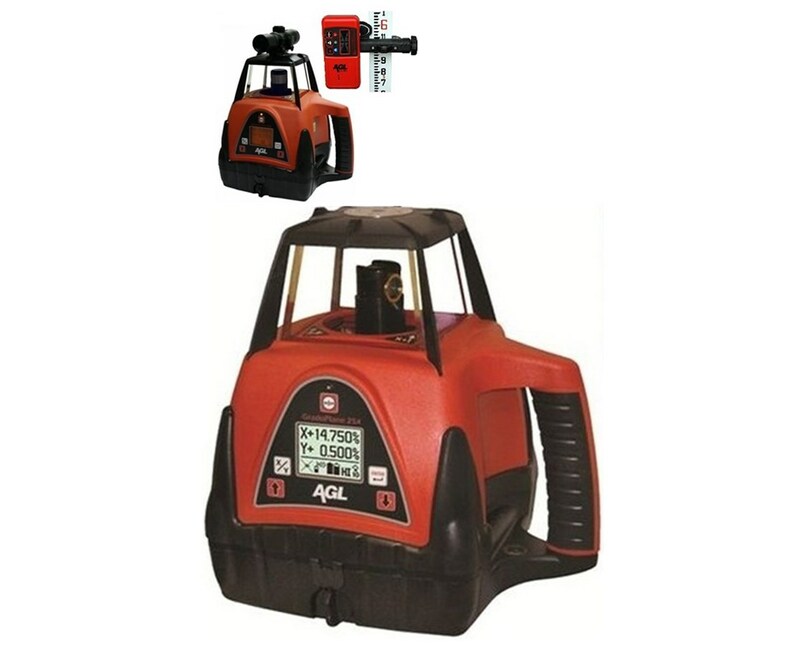 With a self-leveling range up to ±5 degrees, this construction laser has single grade capability of -5 to +25 percent or dual grade of -5 to +15 percent. It also features grade reverse and temperature compensation for increased accuracy. 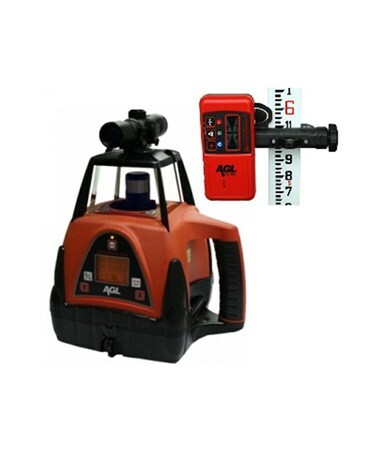 This laser receiver allows surveyors to work with a fine, medium or coarse bandwidth and has a last beam strike memory with low battery indication. 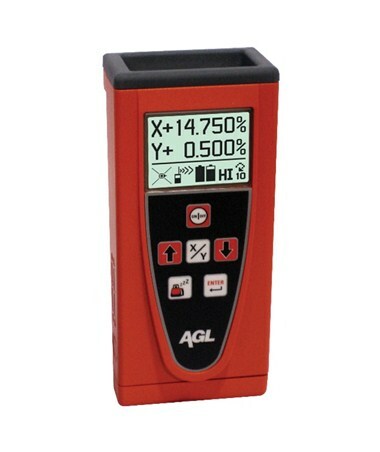 Presented with a large graphic display and a five-button keypad, this dual grade laser has an advanced design that enables the device to maintain over different temperature ranges. 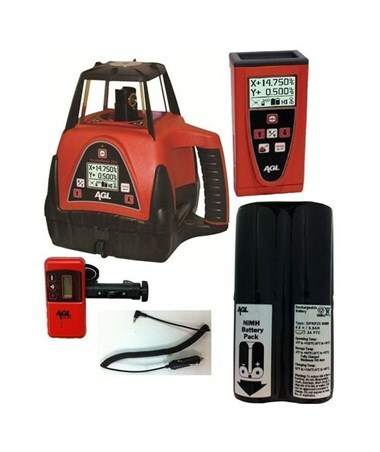 It is also water submersible and works up to 100 hours using one NiMH battery pack or up to 130 hours using eight D-cell alkaline batteries. In addition, it has an IPX7 rating which protects the device from water splashes. 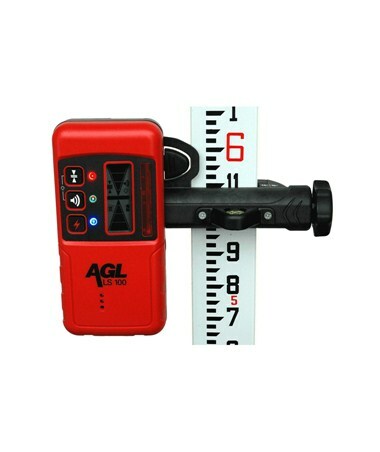 The AGL GradoPlane 25X DG Dual Grade Laser comes with an optional remote control. Please select your preference from the drop-down menu above. Remote Control Operating Distance 750 ft.